The purchase of 10 million sachets of micro-nutrient powder (MNP) known as Enrich, Benue State Government has paved the way for a strong partnership between the state and the manufacturers, Bio-Organics Nutrient Systems Limited, NaijaAgroNet reports. NaijaAgroNet gathered that this effort would tackle the scourge of malnutrition by distributing the food fortifying MNP to 86,000 children in the state. 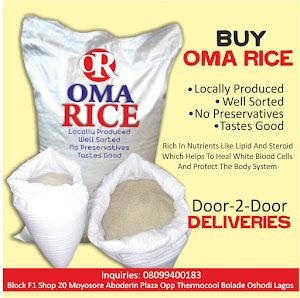 The distribution of the micro-nutrients food powder commenced last December and would last till May 2014, so as to fortify them against malnutrition and diseases associated with micro-nutrients deficiency. The First Lady of the State, Mrs. Dooshima Suswam, said there was need to address the problem of malnutrition in Benue with the MNP because the lack of nutritious food, poor feeding practices and children not getting enough nutritious food lead to malnutrition, which is the underlying cause of about half of deaths recorded in children under age of five years and severe acute malnutrition affecting millions of Nigerian children. Also, she expressed delight with the innovation strategy aimed at reducing infant mortality in the state. “Benue State Government has procured 10 million sachet of MNP for distribution to 86,000 children between age of 6 months and 59 months during the Maternal Newborn and Child Health Weeks (MNCHWs) of December 2013 and May 2014. “A sachet of MNP contains 15 micronutrients that are supposed to be added to the food of a child at the point of consumption. The overall strategy is to adopt a state-driven approach that is built upon existing routine and outreach health services delivery system with increased mobilisation of communities during the specified months of MNCHWs,” she said. For the Chief Executive Officer, Bio-Organics Nutrients Systems Limited, Dr. Kenny Acholonu, “most complementary and staple foods lack sufficient amounts of vitamins and minerals required for optimal growth and development of children, especially in the first 1000 days of life. But, with the use of Enrich as part of their food, these essential micronutrients will be supplied in sufficient quantities. “We, therefore, want to use this opportunity to urge mothers to adopt MNP as part of their children’s feeding routine and use them according to the instructions of the health workers. Doing this diligently, will enhance the health, growth and development of the children, which will favourably complement the efforts of the state and all the stakeholders involved,” he said.